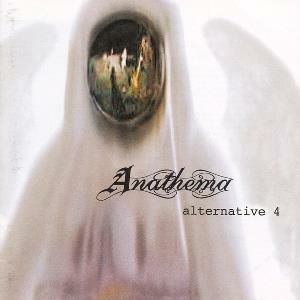 A fine album showing Anathema's slight shift towards a more textural and soft sound, but retaining enough heavy moments and delightfully depressing themes to please listeners coming from many different genres. For all its praise, "Alternative 4" has some mixed song-writing and playing; however, it is more often than not strong, and always emotive. Cavanagh's vocals are exceptionally powerful (although a little too exposed on this album), and will make you reflect on some horribly depressing moment of your life at least once while listening to this album-- be prepared. The Floyd comparisson is, I think, very unfair, since Anathema never sounds bluesy and Floyd never sounds this gloomy. The band's playing remains fine, but some songs will stand out much more than others. A logical purchase for those who are hooked by their later (better) albums.